Our brokers work tirelessly to help their clients find the best credit card payment processing solution for their business. We do that by researching various companies and finding one that saves our clients the most amount of money. The average credit card processing fee will cost a business about 2-3% of each of their customers’ transactions. Basically, that means as a business owner, you’re paying 2-3% of your annual income to credit card processing companies just to have your customers swipe their card. Our brokers didn’t find this fair, so we’ve made it our job to find you a credit card processor that will give your business the best deal. We explore every option these companies have to offer, connecting you with the one that will allow you to keep your hard-earned money. Merchants predict about 70 percent of their business’ payments will be made via credit card. Our team of brokers have more than 20 years of experience in the credit card processing industry, and we know what is fair and what isn’t. Let us help you find the best payment processing solution for your professional service business! If your professional service business accepts credit cards, consider seeking assistance from our brokers at St. Louis Merchant Services. Our goal is to connect our clients to a credit card processing company that is most beneficial to their business, as our loyalty is to our merchants — not a particular processor. 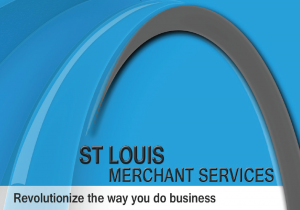 Choose St. Louis Merchant Services to represent your professional service business in the complex world of credit card processing. To get started, call us today at (636) 541-5455 or fill out our online form today!